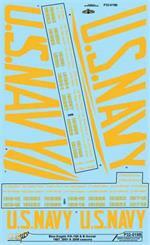 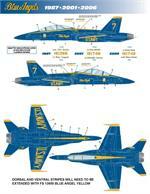 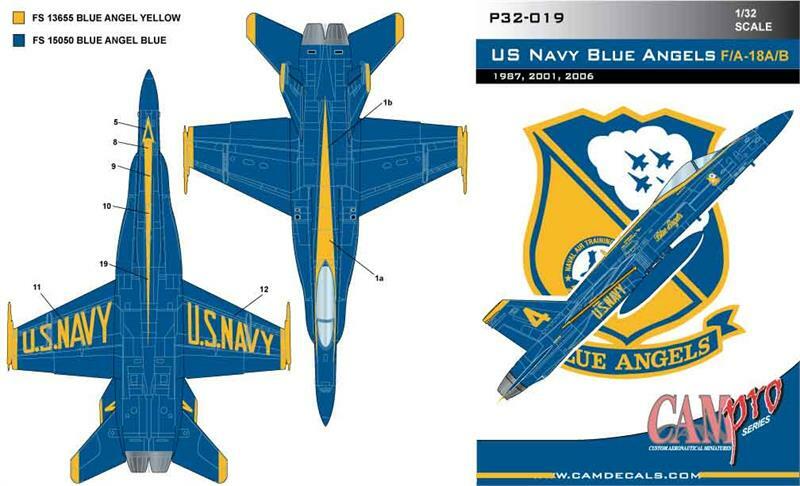 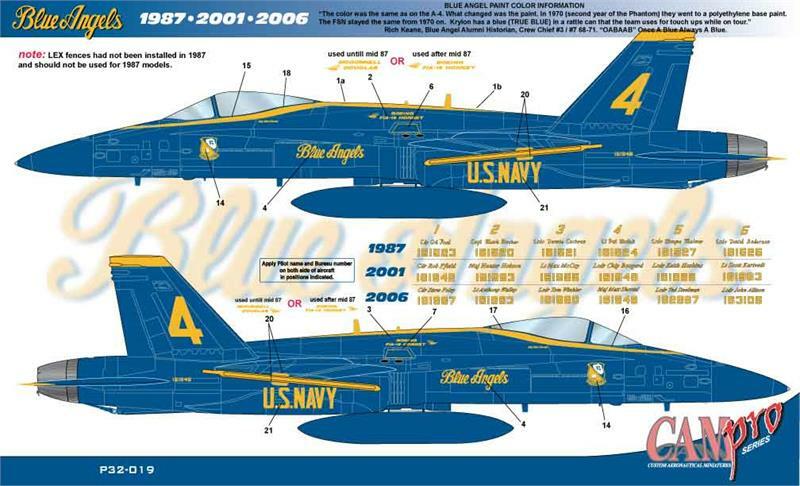 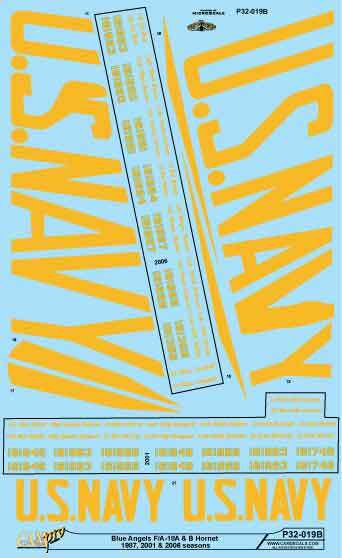 U S NAVY BLUE ANGELS F/A-18A & B, 1987, 2001 and 2006 SEASONS. 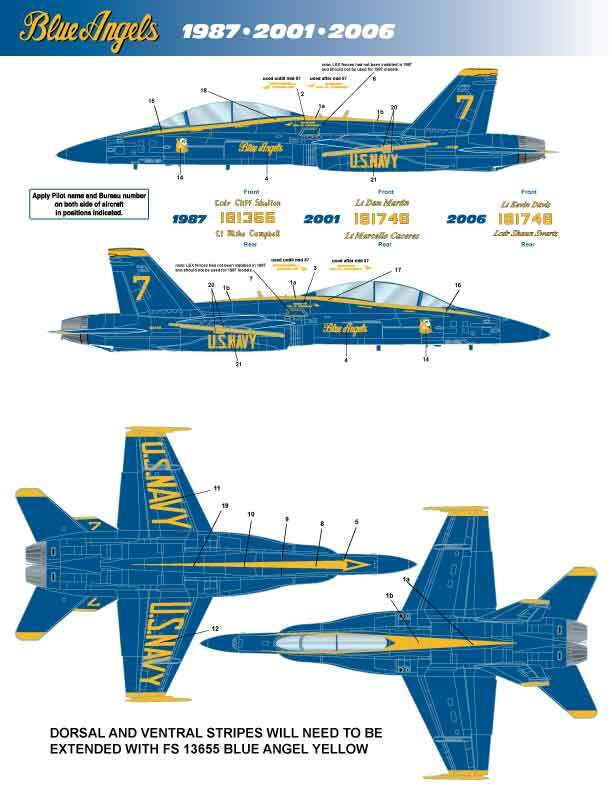 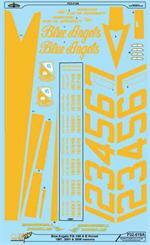 DECALS FOR ONE AIRCRAFT 1 THROUGH 7. DORSAL AND VENTRAL STRIPES FOR #7 WILL HAVE TO BE MODIFIED WITH PAINT.